If you do not already have a home warranty system in place, you may want to consider a home warranty inspection. By purchasing a home warranty you can save large amount of money overtime. 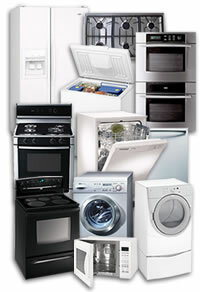 It is a fact that appliances break, and repair or replacement is almost always costly. However, by hiring a company, such as American Home Shield, you can protect your appliances and your wallet. A home warranty company charges a nominal monthly fee to protect your appliances. If and when one of your home appliances goes on the fritz, you simple call American Home Shield and they set up an analysis appointment for you. The initial appointment will cost you money, however once that fee is paid it is free to get the appliance fixed or replaced. The fee is usually reasonable, much less than it would cost to replace your oven or heating system. There are two plans in which you can pick from. One that covers the basics from built in microwave ovens to water heaters, and the other that will cost you a bit more but covers central air conditioning units and refrigerators. It all depends on what you want to protect, or what appliances you feel you cannot live without. Overall, by paying a monthly fee you will save money in the long run when you do not have to shell out a couple grand for a new furnace. It will also give you piece of mind, since you will no long have to worry about what you will do if an appliance breaks.